Svec Promotions is settling nicely into its new home city. The 30-year-old promotional product company moved to Omaha from Hooper, NE, in 2016, a shift that allowed the addition of a retail showroom. While the relatively new address has helped the locally-owned company grow, it hasn’t changed the fundamentals: a focus on finding high-quality, innovative promotional products that drive brand awareness for clients, backed by top-notch customer service. 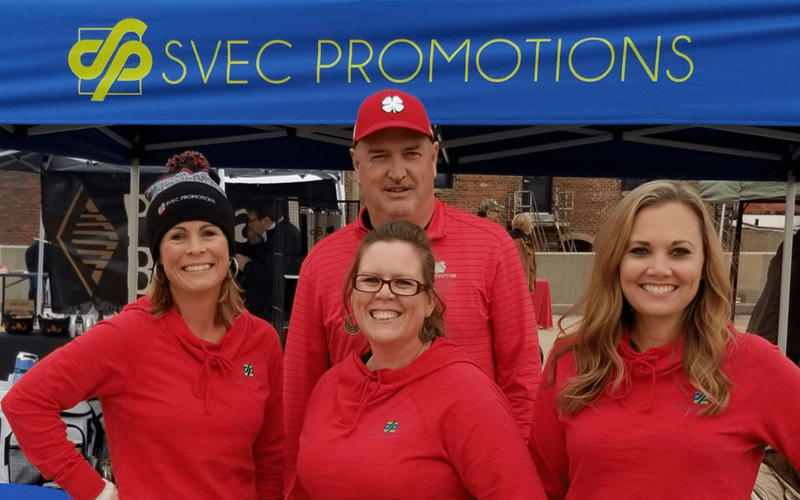 “We treat our clients the right way the first time to help ensure long-term working relationships,” says Katie Groves, a sales representative at Svec Promotions. Svec Promotions has also sponsored, contributed to or participated in several charitable endeavors this past year, including The Barrientos Scholarship Foundation, Fremont Bergan Knights Booster Tournament, Temple Israel Golf Outing, and MBCF/MBA Scholarship Golf Scramble. Want to learn more about Svec Promotions? Check out the company’s website. Many thanks to our generous sponsor! November Small Business of the Month: MyStaff Inc.
May Small Business of the Month: Lion’s Gate Security Solutions, Inc.
You have a great story – tell us! Excellence is a way of life here – earned not given – and it should be celebrated!